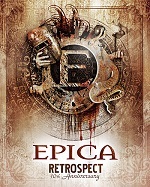 Dutch symphonic metal band EPICA celebrated their 10th anniversary with a one-night-only event, dubbed 'Retrospect'. The band was accompanied by the seventy piece Extended Reményi Ede Chamber Orchestra and the Miskolc National Theatre Choir, playing an unforgettable 3-hours best-of set. According to respected Dutch newspaper the Volkskrant "The band wrote a chapter of Dutch metal History" this evening. Rock Tribune (Belgium) thought it was "an unforgettable show". 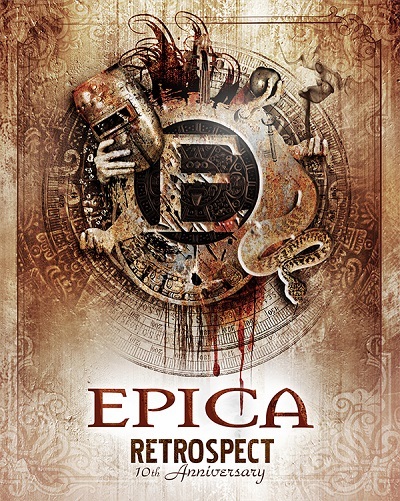 Ten high definition cameras captured this very special sold-out show while EPICA played in front of nearly five thousand ecstatic fans in Eindhoven, the Netherlands. In addition to a collection of the band’s biggest hits from across the spectrum of their entire catalog, this once-in-a-lifetime spectacular also features the live debut of ‘Twin Flames’ and the previously unreleased ‘Retrospect’, covers of classics by Vivaldi, Pergolesi, and Oscar-winning film composer John Williams, two guest collaborations with the venerable Floor Jansen (NIGHTWISH, REVAMP), and a very special performance of their breakthrough single, ‘Quietus’, with founding members Jeroen Simons, Ad Sluijter, and Yves Huts. 'Retrospect' features this massive performance in its entirety, as well as exclusive interviews with all band members and behind-the-scenes footage from the show.